Discover the highlights of Tahiti on a 5-hour tour of the natural and cultural sites on the island. Your expert local guide shares informative commentary as you visit Venus Point, the Arahoho blowhole, Marae Arahurahu, Vaipahi Garden and Taharaa Lookout. Learn about the history of French Polynesia, soak up panoramic island views, and visit gorgeous temples and botanic gardens on this afternoon tour from Papeete. 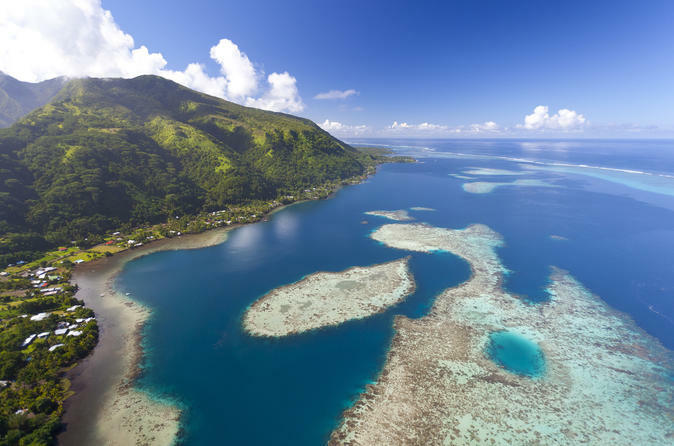 Discover the best of Papeete on this full-day 4WD safari adventure. 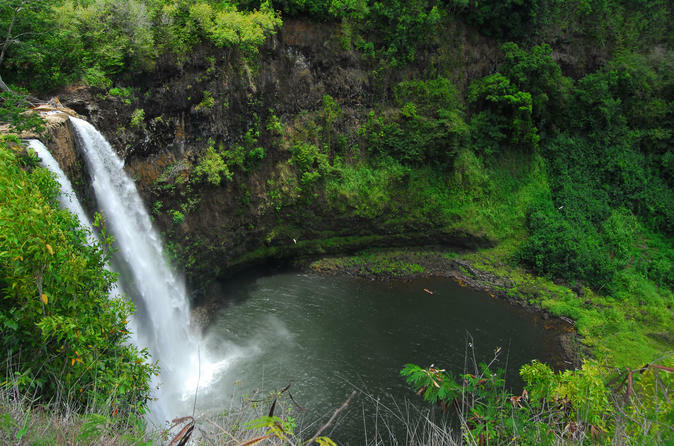 You'll travel through almost impenetrable rainforest to discover some of the jewels of Tahiti. This is a rare opportunity to see the places where most tourists cannot gain access. Experience the untouched majestic beauty of Papeete and uncover archeological sites on this full-day jeep safari tour. 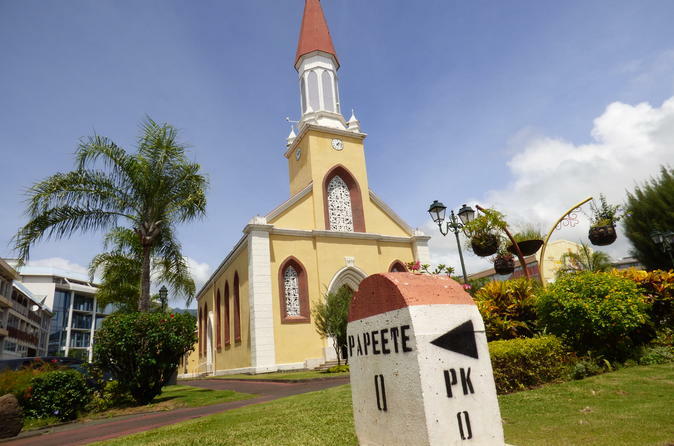 See more of Papeete on this comprehensive Segway tour. 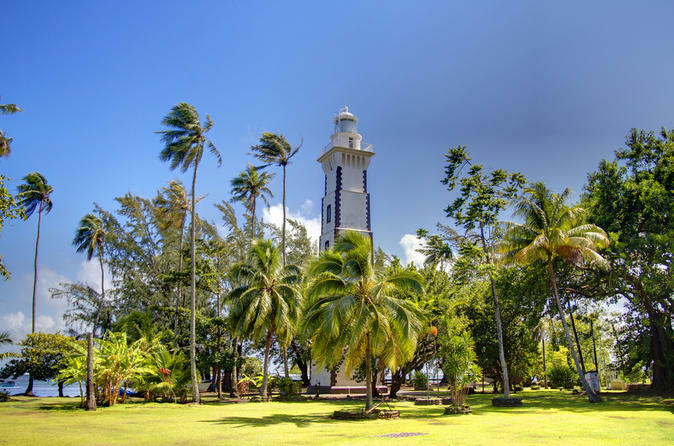 You’ll explore Papeete city center and over 20 of the top attractions in the area including the beautiful Notre Dame Cathedral, the Papeete Market (Marché de Papeete), the bust of Pouvanaa a Oopa and the Territorial Assembly Gardens. See the highlights of Papeete, the capital of French Polynesia that is situated on the island of Tahiti. Visit the traditional Municipal Market, the high-end Vaima shopping center, the Cathédrale Notre-Dame, and Papeete Town Hall. The crown jewel of this visit? A chance to explore the world’s only museum dedicated to the black pearl. Your knowledgeable local guide shares informative commentary as you explore the charming capital of French Polynesia. 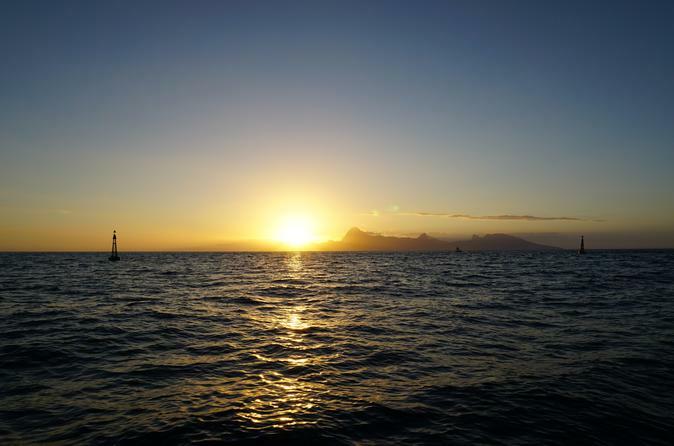 Take in the spectacular colors of a Tahitian sunset on an early evening cruise from Papeete. Enjoy views of Moorea from the open water as you sip a refreshing cocktail as your friendly crew entertains you with tales about the islands under the sorbet-colored sky. You won't have to compete with others for the best views: This small-group tour is limited to 12 people for a more personalized experience. 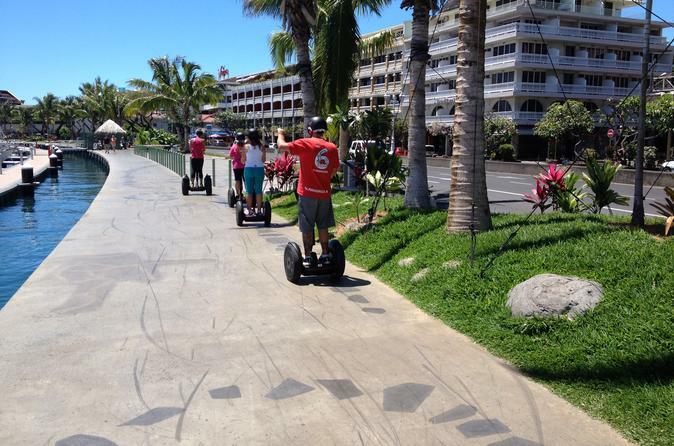 Enjoy spectacular views of the Papeete waterfront while you glide along on a Segway. A Segway is a great way to get around, it is easier than walking, and more unique and personalized than a coach tour. 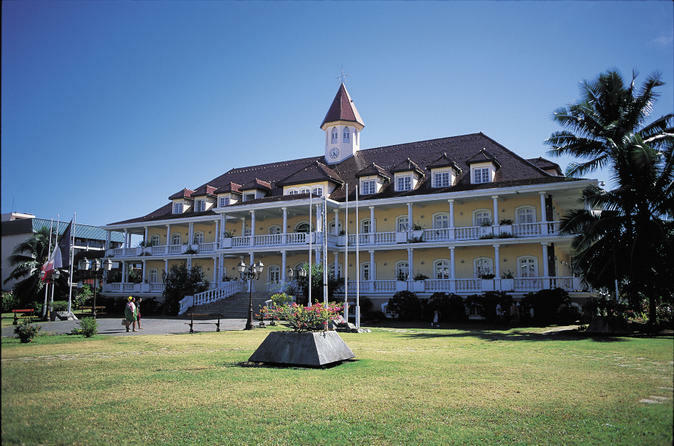 On this tour you’ll visit many of Papeete’s top attractions including Vaiete Square, New Marina, Paofai Park and the Monument of Independence. Explore the lesser visited south-west coast of the island of Tahiti on a boat tour around the peninsula and Teahupo'o. You will discover that there is more to Teahupo'o than its world-famous waves. You'll see turquoise lagoons, rugged cliffs, hidden caves and spectacular waterfalls. Included is a hike through pristine rainforest that is only accessible by foot and there is also time for a swim and snorkel in the clear waters of the peninsula. Your adventure begins and ends at the Teahupo'o Marina, located approximately 45 miles (75 km) from Papeete. You will need to make your own way to the marina to join the tour by hiring a car or renting a taxi (at own expense). From August through October, thousands of humpback whales migrate to the warm waters of French Polynesia. 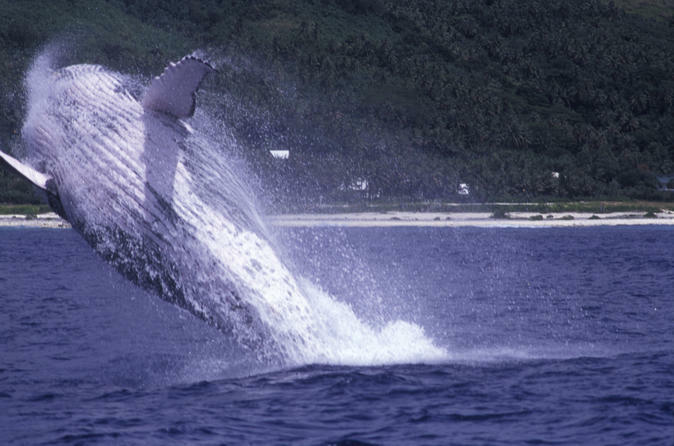 Catch a glimpse of the majestic mammals on a whale-watching excursion from Papeete. Venture out on the ocean with an expert guide to witness the whales as they play, breach, or feed around your boat. This tour is only available between 5:00pm to 7:00pm from monday to friday. The departure and the arrival are at the ferry terminal of Papeete. It's an one hour tour without stop. It's a unique excursion in town at the sunset time, when the city started to become more quiet. You'll see the softness of the different district with a beautiful light. In Tahiti the sunset light is amazing every day and you could see the beauty of this farmer french colonial city. 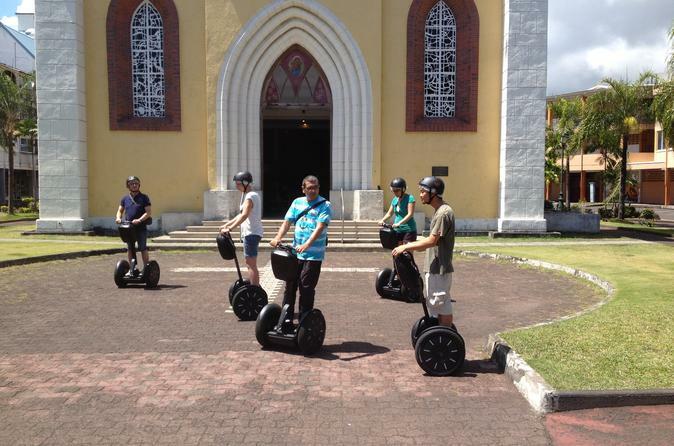 Get an introduction to the practice of Segway during your stay in Papeete. 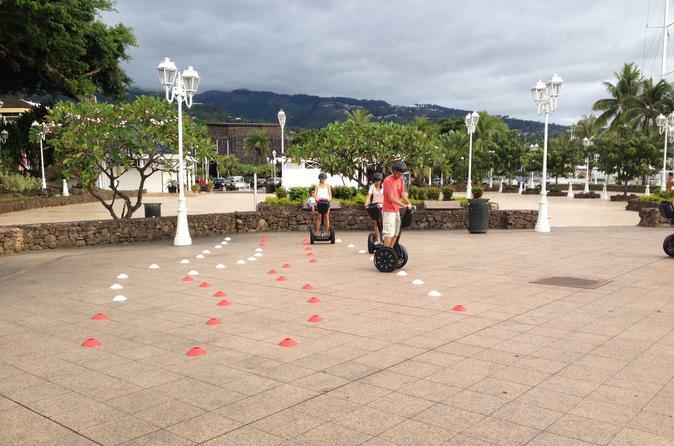 Your introduction to the Segway will take place in Vaiete Square in the center of Papeete. Your instructor will teach you how to best master your Segway in this fun and informative 30-minute session. Take a taxi boat from Teahupoo Marina to the Teahupoo break to see some of the best waves in the world. Depending on the size of the swell, you'll see surfing the world-famous waves at Teahupoo. Your experienced captain will position the taxi boat so you can take in all the action! Your taxi boat departs and returns to the Teahupo'o Marina, located approximately 45 miles (75 km) from Papeete. You will need to make your own way to the marina to join the tour by hiring a car or renting a taxi (at own expense). 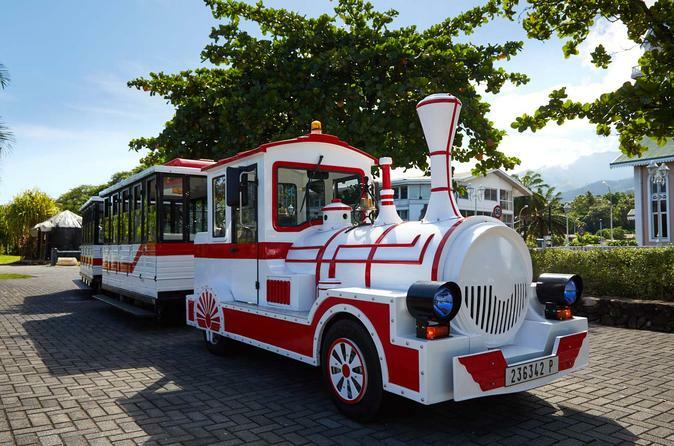 Enjoy a unique tour of Pape’ete on this 1-hourf tour by train-shaped tram. You will see the different neighborhoods of the capital, as well as Maria No te Hau Church, the Chinese temple of Kanti, and beautiful gardens. There is commentary throughout the tour to help explain the sites.